Bear River's Katelyn Meylor drives towards the basket during the Bruin's first round playoff win over the Mountain House Mustangs. Bear River's Kylee Dresbach-Hill (4) looks for an open teammate as she drives the ball up the court for the Bruins during their win over the Mountain House Mustangs. 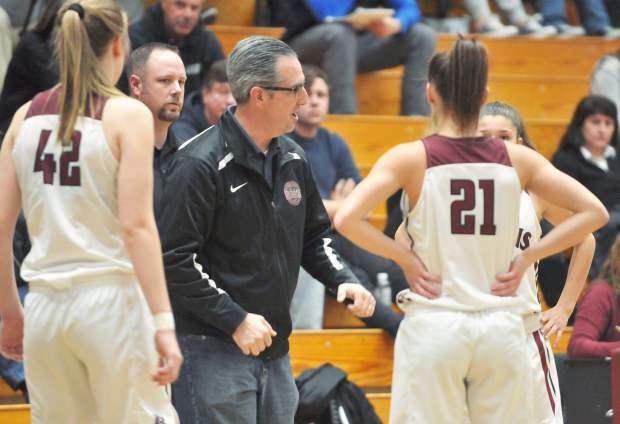 Bear River girls basketball varsity head coach Randy Billingsley talks to his team during a time out. Bear River's Mallory Rath, who set the Bear River record for rebounds in a season, looks for an open teammate after pulling down an offensive board. 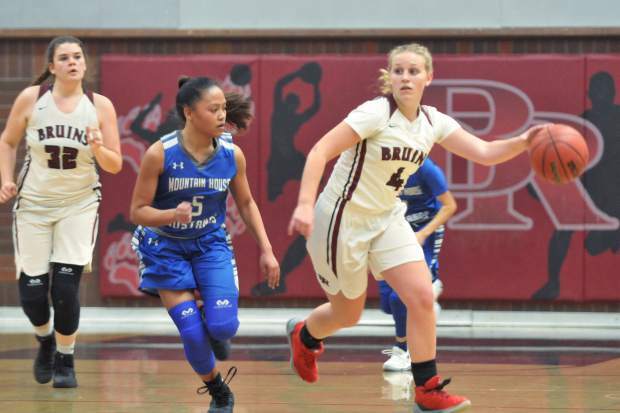 There was no shortage of offense Tuesday night as the Bear River Lady Bruins found their mojo, knocking off Mountain House, 78-57, in the opening round of the Sac-Joaquin Section D-IV playoffs at Jack R. McCrory Gymnasium. The contest remained tight through the first quarter with five lead changes early on, but the Lady Bruins took the lead for good pulling ahead of the Mustangs 19-17 and never looked back. 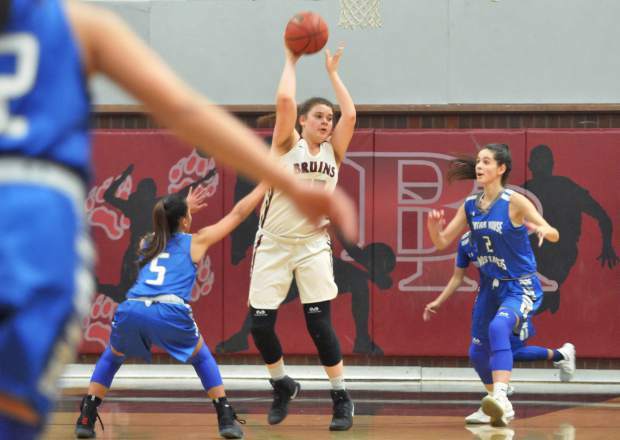 Bear River imposed its will in the paint throughout the contest, securing rebounds and popping in putbacks and mixed in a healthy dose firing from beyond the arc. Closing the second quarter on 20-8 run, the Lady Bruins secured a 44-28 lead at the break. Not to be outdone, senior Mallory Rath made her presence felt in the paint, keeping the Mustangs on their heels much of the night as she tossed in 20 points and hauled in 29 boards to go with four assists, two steals and a block. Bear River kept the heat on and led 61-39 at the end of the third quarter. 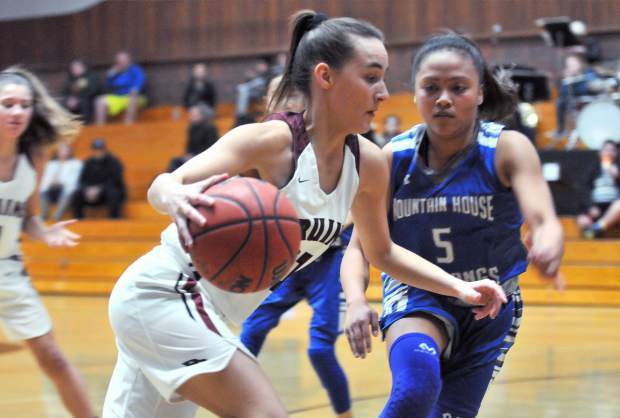 Senior Kylee Dresbach-Hill and sophomore Gabi Corralejo made sure Mountain House was sent home with lasting memories as they each buried multiple 3-pointers. 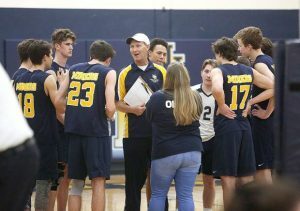 Corralejo rounded out the offense for the Bruins, shooting 4-of-5 from deep to finish with 12 points. The Lady Mustangs were led by Andrea Garcia, who ended her night with 25 points. 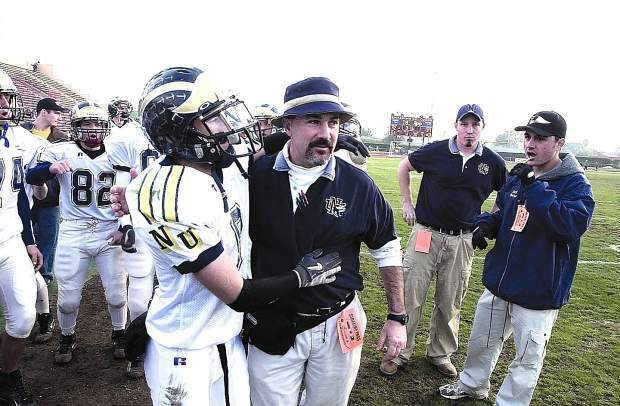 Next up for Bear River (16-10) will be the winner of No. 2 Union Mine versus No. 15 Dixon on Thursday.